Fractions, Decimals and Percents Color by Number Positive only. Students will match fractions, decimals and percents. Decimal to Fractions 1 Riddle Positive only. Decimals up to hundredths place only. Decimal to Fractions 2 Riddle Decimals to the thousandths place. Some answers are mixed fractions. 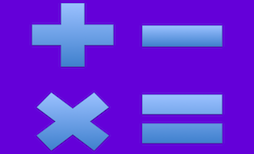 Decimals to Percents 1 Riddle Students will identify correct decimal to percent conversions. Fractions to Decimals Riddle Positive only. Students will match fractions with their decimal equivalent. Fractions to Decimals 2 Riddle Positive only. Fractions to Decimals 3 Riddle Positive and negative. Matching. Percents to Decimals 1 Riddle Convert percents to decimals. Decimal percentages and percents > 100 included.